I know as a kid, I loved seeing my name on TV, in a book, the newspaper etc. It made you feel like you were someone because that famous person had the same name as you. I have a feeling that kids these days are no different. The I See Me book gives kids that same feeling. Monkey has an odd name, one that you have to make all the Christmas ornaments for because his name doesn't exist. When he got the I See Me book and it had his name plaster throughout the book, he was so excited, kind of like how I used to get when I would see my name on TV. He wanted to have the book read to him right away. Bean read it to him first and was shocked at how many times Monkeys name was in this book (he said he wanted to quit counting after it appeared 23 times). He thought it was neat also and wants a book with his name in it too. While they are reading the book, more names come up and Monkey realized they are his brothers names and friends names too. "Its like they know me" was what he said. 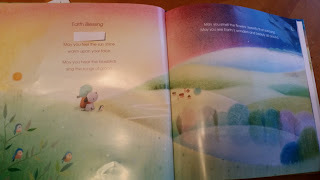 We chose the book My little Book of Blessings which had 10 sweet and simple daily blessings. His book is personalized with up to 8 family members names and 8 friends names. 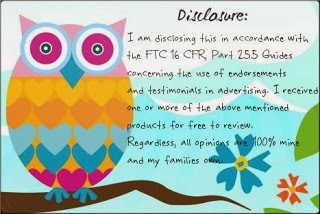 You have the option to include a picture of the child that will be printed in the front of the book also. 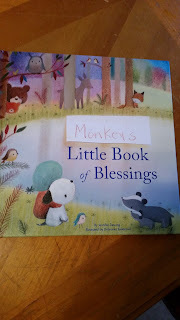 There is not a page in this book that doesn't make Monkey smile every time he reads it. It is his new favorite bedtime book and looks at it each night before he goes to bed. I recommend the I See Me books for that little special one in your family. You can preview the book before you buy it to make sure its just the right one, or two, or three. With at least 44 different options of books, you should have no problem finding that certain book for your little one.